WASHINGTON — President Trump has expressed disgust for the news media (“scum”), Democrats in Congress (“traitors”), NFL players (“total disrespect to our Flag & Country”), and the state of California (“the place is totally out of control”), just to name a few. 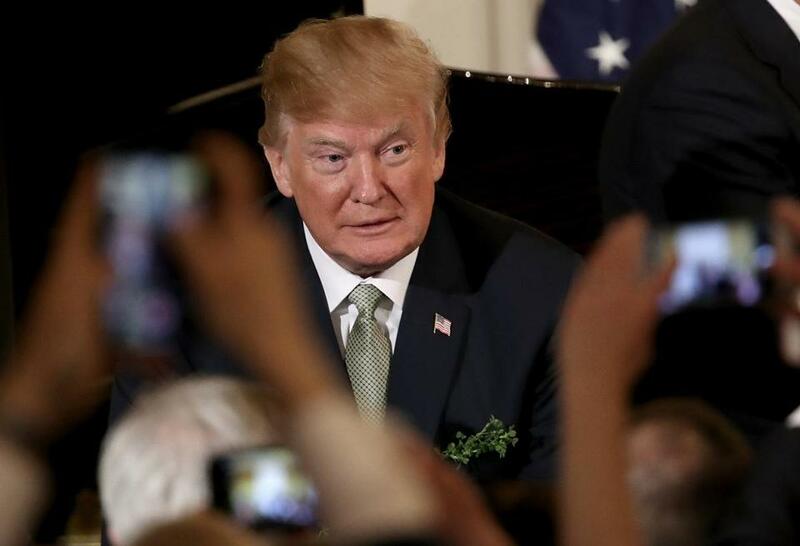 But in recent months, the leader of the free world has turned his considerable ire toward a group of immigrants who came to the United States legally through a visa lottery program originally established to help undocumented Irish become citizens in Massachusetts. Trump has called this group, which numbers about 50,000 a year, “horrendous” and the “worst people,” and suggested that other countries are choosing their most undesirable citizens to enroll in the program. But the truth is quite different — it’s the United States that chooses who can come, and on average those allowed in are better educated than the American population as a whole, according to US Census data. But the impact of his words and the threat to eliminate the program as part of his overall bid to slash legal immigration have instilled fear, anger, and confusion in a group of immigrants who followed all the rules. Mbah, originally from Cameroon, won the diversity visa lottery in 2010 while he was getting a master’s degree in Sweden. He settled in Taunton with an aunt before moving to Somerville. Trump ramped up his attacks against the program after a visa lottery recipient from Uzbekistan, inspired by ISIS propaganda, drove his truck into a crowd in Manhattan in October, killing eight people. The president paints the program as a national security risk, and suggests countries are offloading criminals onto it. In truth, the State Department runs the lottery program from an office in Kentucky staffed by hundreds. Each year, millions of people apply to the visa lottery and the United States randomly selects about 100,000 of them to apply for a green card. The only requirement to apply is a high school education. Only 50,000 applicants end up making it through the next round of vetting, including a background check and hundreds of dollars in fees, to get a green card. The chances of winning the visa lottery are less than 1 percent. About 50 percent have a college degree, according to an estimate drawn from the Census Bureau’s American Community Survey. That’s higher than the 33 percent of Americans over the age of 25 who are college-educated. After 10 years, more than half of lottery recipients become citizens. “The president has said at times that the diversity visa program brings the worst of the worst to the United States and the data show that’s not true,” said Julia Gelatt, a senior policy analyst at the Migration Policy Institute, a nonpartisan Brussels-based think tank. The program, passed in 1990, was pitched as a way to “diversify” America’s immigrants. A change made to the immigration system in the 1960s gave preference to family reunification, which benefited more recent immigrants from Latin America and Asia but left fewer opportunities for less recent immigrants like the Irish. The diversity visa lottery, backed by Massachusetts politicians, legalized much of Boston’s undocumented Irish population in the early ’90s. Over the years, the program has changed from bringing mostly white Europeans to the United States to a higher share of Africans. The program is the last piece of the US immigration system that is driven by the desire of regular people outside the country to come in — rather than fulfilling labor shortages of US employers or allowing US citizens to bring in close family members. Trump believes the country’s immigration system should be organized solely around US employers’ needs, and that overall immigration should be lower. Trump has made inaccurate claims about the lottery program at least 16 times, according to a count from The Washington Post. Beyza Burcak remembers the first time she heard Trump use derogatory words to describe people like her. “I got really angry,” Burcak recalled. Burcak, who is getting her master’s degree at the University of Massachusetts Boston and works part time at the Massachusetts Immigrant and Refugee Advocacy Coalition, moved to Boston from Turkey in March 2016 after winning the visa lottery. After Trump was elected, she was surprised to hear the president focus on the obscure immigration program from which she had benefited. “I was scared he would kick out all the immigrants,” she recalled. Diversity visa lottery recipients don’t have lobbyists or powerful advocates. The president’s voice, and Twitter account, easily drowns them out. “He does not know the truth and he’s blaming immigrants for everything and it’s just hurtful,” said Inge Yuwono, a software engineer who won the visa lottery in 2009. Yuwono, who is originally from Indonesia, said she has been trying to explain the lottery program on Facebook and in person to her friends, to counter the president’s mischaracterizations. “That’s why I want to share the story because I want to get the truth out there,” she said. “He really felt hurt by the things the president had said and he felt like he needed to make the point that he’s a contributor to our community,” Ellison recalled. Those who have benefited from the lottery say gaining the chance to immigrate to the United States inspired them to work harder. “This program is something that has helped so many people that would not even in their wildest dream make it to America,” said Mbah. The Somerville alderman remembers seeing the letter that informed him he was randomly selected for the program.